This teaching is on the relationship between teacher and disciple, and how to relate to the practice that involves one's guru. His Eminence will begin with the ground for such a situation. As many of you may know, in order to assimilate the teachings properly, to experience and thus to integrate the teachings into one's life, one must first have the proper conditions necessary to bring about such a situation. One of the first important points is that if one's attention is not upon the teachings, then one does not receive the teachings properly. In listening to the teachings, it is not enough that one has heard the words; one must hear and understand the meaning of what is communicated through the medium of words. Toward that, one must be mindful of the fact that one is receiving teachings, give one's full attention, and with a very clear and attentive mind, otherwise one is not going to hear and understand the teachings, no matter how many times one has the opportunity to hear them. For instance, if a particular container into which you would like to pour water is turned upside down, no matter how many times you try to pour water into it, none of the water will get inside the container. This is the first important requirements for receiving the teachings. The second possible shortcoming that could hinder one from receiving the teachings properly is a situation that is likened to a container that has a cracked bottom, or a hole. One of the first important points is that if one's attention is not upon the teachings, then one does not receive the teaching properly. This means that whatever is poured into the container will leak out. Although you have the chance of pouring, nothing is retained. It is not enough that one has heard the words of the teachings through the faculty or the consciousness of hearing; what one has heard must be properly remembered. This relates to what is traditionally emphasized as developing the wisdom of understanding, the wisdom of understanding, the wisdom of contemplation, so that one does not just forget right away. We often say that what we hear goes in one ear and out the other. Again this would not be characteristic of being a proper vessel. Retaining and remembering what you have heard is necessary. The third important requirements for being a proper vessel for the Dharma is that one should not be a poisonous vessel. Such a vessel may have no cracks or leakages, yet nevertheless the vessel is poisonous. Whatever is poured into it is poisonous, of no use, and actually a cause for harm. One must have the proper motivation. One should not be receiving teachings and one should not be giving teachings with an unhealty motivation. Unhealthy motivation is receiving or giving the teaching while having neurotic and egocentric attitudes of all kinds. The proper attitude to have while receiving and giving teachings is to know that the purpose of receiving the teachings is to benefit and to bring all beings to enlightenment. In the same way, the purpose of giving teachings is to benefit those receiving them, to relieve beings from the state of confusion and suffering. It is important to have this kind of proper motivation of working toward the benefit and enlightenment of all beings. In order for one to be able to follow properly the path of the Dharma, the pure spiritual Dharmic journey, there must be some other important conditions present and the recognition of these. As it is explained in the text the Jewel Ornament of Liberation by Gampopa, the cause of the experience of enlightenment (the complete awakening of the mind) is traditionally known as Buddhanature; this inherent potential for complete awakening is within all beings. It is extremely important to know this, and to have a sense of healthy faith or confidence in oneself. Buddhanature is inherent and pervades the minds of all being; in the same way, though it may not be particularly visible or obvious, butter pervades milk. We should have a sense of the resourcefulness about ourselves. We have to acknowledge that we are not asking for anything that is not our own basic wealth. (3) the method of instruction. While the potential to experience awakened mind ultimately is inherent in all beings, even in the tiniest beings, only with the vehicle ofthe 'precious human birth' can one realize that potential. The cause of the realization of that potential is the spiritual friend. The method is the skillful means of the teachings that are presented by the spiritual friend. Among these important conditions, it can be said the most important one is that of the relationship with the proper spiritual friend. Given the fact that one does not have the understanding and the recognition of one's ability to experience enlightened mind, one cannot fabricate on one's own a path of which one has no idea; one would have no experiential understanding of the fruition, or even know the starting point. It is an honest fact that however one attempts on one's own to experience completely awakened mind, true awakened mind will not be experienced. One may perhaps experience momentary satisfaction or entertainment, but in order to experience true awakened mind one needs the cause of the spiritual friend, one who has the understanding of the method, and skillful means as well as experience. As it is said in the 'Mahamudra Liturgy of Aspiration' by the third Karmapa Rangjung Dorje, one must develop the three types of wisdom in order to realize the nature of all phenomena. The first is the wisdom of hearing, which cuts through the ignorance of not knowing, of being uninformed. If something needs to be clarified, to be asserted, proven, or refuted, the wisdom of hearing gives one the opportunity. Then there is the wisdom of deep understanding, which is contemplating what one has heard. Through developing the wisdom of contemplation, of understanding, one breaks through the tapestry of doubts and clears them away. Thirdly, through the wisdom of meditation practice, one becomes enlightened; one begins to realize the fundamental nature of phenomena, not relating to phenomena from the point of view of illusion and the confusion of dualistic clinging. Developing the three types of wisdom in this way is possible through the cause of the spiritual friend. Thus the spiritual friend is indispensable. The spiritual friend one relates to must have a lineage, because a lineage has a history of transmitting the awakened intelligence, the inspiration or uplifted quality of blessing. 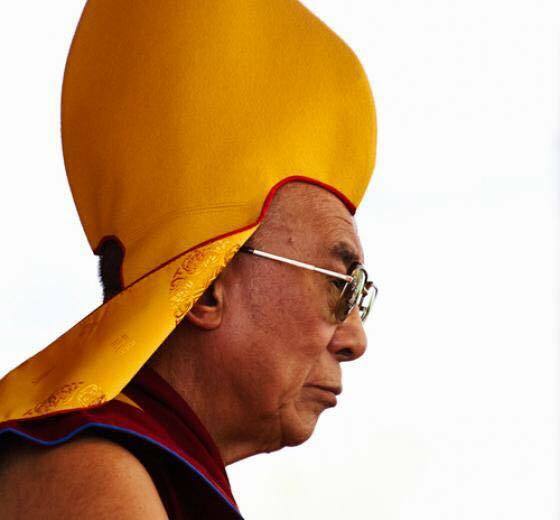 When the spiritual friend represents such a lineage, the teachings carry the impact of enlightened intelligence. This can have an important effect in the experience of the sanity of the path that one is involved with. So having a spiritual friend with a lineage is extremely important. The different types of spiritual friends are classified in accordance with the teachings of the Buddhadharma. A spiritual friend can be just an ordinary person who has more knowledge or realization than oneself, or who is linked to the tradition, having both experience and the transmission of a lineage. A spiritual friend could be a highly realized being, like a nirmanakaya (Tib. 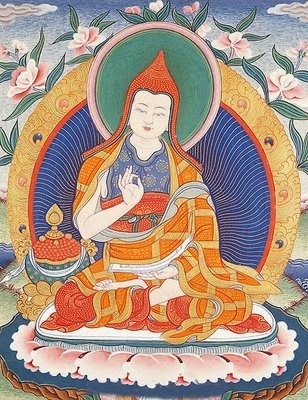 tulku), an incarnate being, or a bodhisattva of the different stages, a more subtle manifestation having the transmission of the teachings of the samboghakaya. These different types of spiritual friends may also be embodied in one person. The type of spiritual friend one has depends upon the stages of spiritual growth that one experiences. Whatever different types and levels of spiritual friends one may relate to, the relationship must be based at least to a certain degree on the three types of confidence. The first is the confidence of clarity, a clarity about the relationship and the importance of it. The second is the confidence of yearning, longing to continue the relationship. The third is the confidence of certitude, that is, some certainty, something decisive, and definite about the relationship. One knows that the relationship is for real, and one engages in it with a real decisiveness, with heart. In accordance with the stages of the path, the Hinayana, Mahayana, and Vajrayana, and the corresponding vows, there are stages in the relationship with the spiritual friend. In the Hinayana, referred to as the lesser vehicle, the greater importance is attached to the proper conduct of the body and the speech, as prescribed by the pratimoksha vow or discipline; in this way it is 'lesser'. In the Mahayana, or 'greater' vehicle, the emphasis is placed on the development of the mind, intellect, and bodhichitta (cultivating the enlightened mind of compassion); the expression of this is the bodhisattva vow. In the Vajrayana there is the presentation of the skillful means, which involves the commitment of the samaya vow. There is a spiritual guide for each stage of the path, one who helps one with the pratimoksha vows and discipline, one who is involved with the bodhisattva vow, and one who is involved with the samaya vow. Concerning the ordinary spiritual friend, in Tibetan the tern is 'ge-wei' (spiritual virtue) and 'nyen' (friend); this refers to one who serves as a guide on the spiritual path, a friend who is willing to work with one. It is not like any other friendship in one's life; it is not a mundane and samsaric situation in which one is led to being more confused. 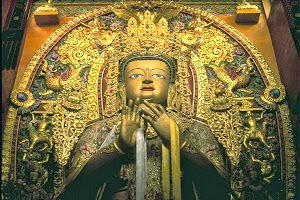 It is said that the bodhisattva spiritual friend is one who can definitely effect the experience of awakened mind in the lives of other. The landscape and the landmarks of the journey need to be introduced to us, we need to be awakened to the ability to acquire the necessary knowledge and wisdom. The bodhisattva teacher is one who has eight qualities. The first quality or characteristic is practicing the essence of the pratimoksha discipline-abandoning what is harmful to others, directly or indirectly, and the causes of such harm-and embodying the bodhisattva discipline, the essence of which is benefiting others. The second mark or quality is being learned and knowledgeable in the vast Mahayana teachings, and not being handicapped or limited in presenting the Mahayana teachings, but presenting them in accordance with the need of the situation. The third quality is not only having heard and understood the vast Mahayana teachings intellectually, but having the experience of the teachings, being capable of presenting the teachings not only from an analytical point of view but from an intuitive and experiential point of view as well. With this quality comes the ability to clarify the doubts and clear away the shortcomings and the obstacles of practitioners. The fourth point is that the actions and responsibilities of leading students on the path toward awakened mind are performed with joy and compassion. The fifth quality is fearlessness. Fearlessness is always having the conviction or confidence that regardless of the hard work, the complicated tasks that the situation may require, there is no fear of not succeeding. A charactersistic of the bodhisattva is never becoming disillusioned or disheartened for whatever countless kalpas, eons, no matter how seemingly impossible the task may be. The sixth quality is patience. This is very much connected with fearlessness; it is not giving up, no matter how longlasting or difficult the situation. The seventh quality is not becoming saddened or disheartened with being in the world. In a samsaric situation, there are many kinds of ups and downs, but whatever may be the uncertain play of samsara, working in the midst of such a situation is contantly a joyful experience, without the notion of its being overwhelming. The eight quality of the bodhisattva spiritual friend is known as the fulfillment and accomplishment of the words of the Mahayana. Whatever is taught through the medium of the words of the Mahayana has a benefit and wholesome effect on the minds and lives of other. His Eminence says that those of you who already have spiritual friends and have established the connection, that is that. Those of you who haven't made the link, you know what to look for. 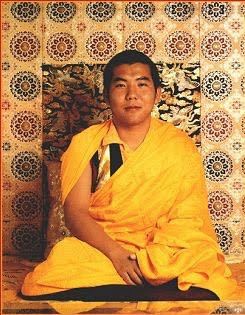 This teaching was given by His Eminence Jamgon Kongtrul Rinpoche at Karma Triyana Dharmachakra, Woodstock, New York, October 4-6, 1985. It was translated by Ngodup Burkhar.